As Ordered by the Madison County Court of Common Pleas, London, Ohio 43140. Case No. CVH 20100171 Advantage Bank vs Elizabeth Pennell, et. al. the following real estate will be sold on the premises. 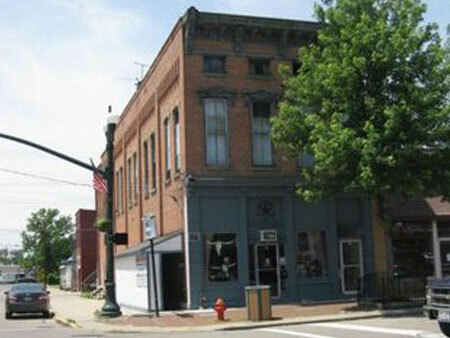 This commercial brick real estate offers a retail store front on the mail level with 2 apartments on the second level. There is also a former bar establishment in the lower level which has dual access entry. This building has natural gas heat; public water & sewer service; 4 gas, water & electric meters. Property is further described as being parcel # 3101085.000; lot approx. 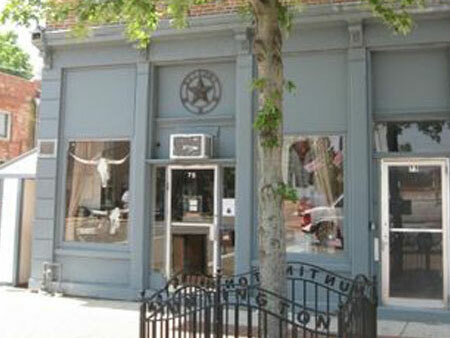 26’ x 100’, $3,185.34 taxes yr.
Also being offered are the Rights to Liquor Permit #6802321 (Class D1, D2, D3, & D3A). Terms for Collateral & Liquor Permit Rights : $100 Minimum Bid payable by cash or certified funds at the time of sale paid in full; sold as-is; selling only the Liquor Permit Rights, including but not limited to the right to apply to the State of Ohio Dept. of Commerce, Division of Liquor Control for transfer of Liquor Permit #680321 in accordance w/applicable law and not the Liquor Permit itself. Real Estate Terms: $40,000.00 Minimum Bid with a deposit of $7,500.00 by cash, cashier’s check or other certified funds the day of sale with balance due at closing which will be no later than 30 days after confirmation of sale. The deposit will be forfeited to the Plaintiff if the sale is not completed in a timely manner. Taxes prorated; sold in present As-Is condition; no buyer contingencies exist; tenant rights apply.